A bit of play happening recently! This was a small quilt I made for our NYC MOD guild swap... You can see them all here. There are many MADE fabric one's happening! Go See! CLICK HERE. This is a beauty! Did you do free motion or use a walking foot for the quilting? I love the way it seems to be radiating LOVE! 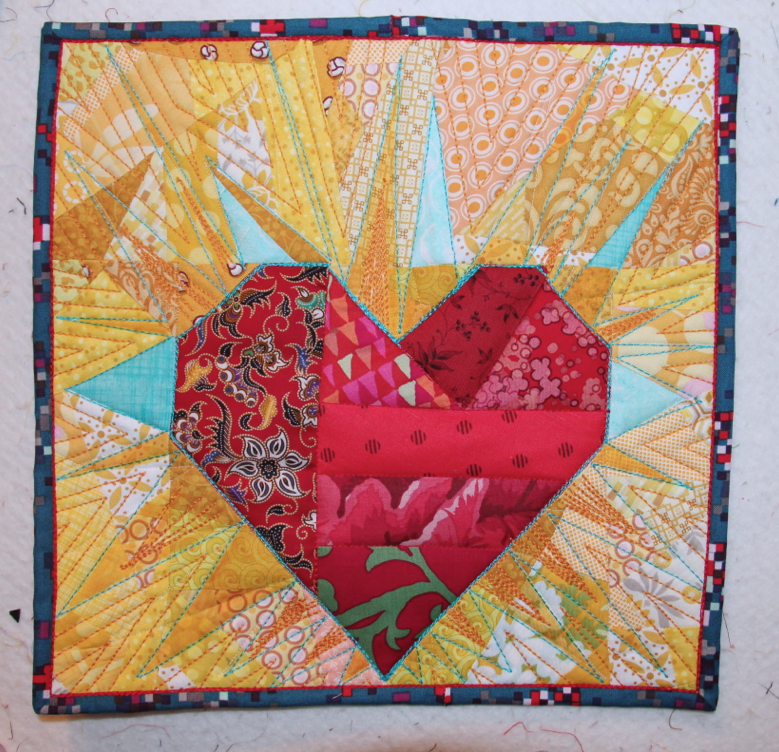 Love the quilting on this one!